When I started The Usual Saucepans at the tail end of last year I had a few things in mind that I wanted to do. One of these – which cropped up again in my post on things I want to do in 2013 – was to take part in some blogger challenges. But there are loads out there and, quite simply, I was a little overwhelmed. Whilst getting completely engrossed in other people’s blogs I’ve come across a few that I quite liked the look of; but there was one that stood out as the one I wanted to try out the most. It is – I think – quite a recent addition to the food blogger party, but ever since my friend Mel pointed it out to me I’ve been itching to give it a try. Baking with Spirit is the sort of thing I absolutely love. 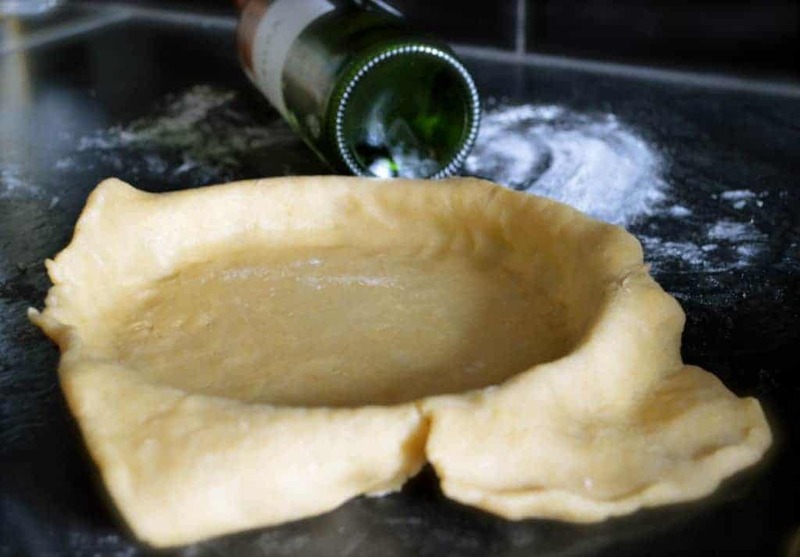 Combining the joy of baking with a glass of something tasty. Seriously, what isn’t there to love? It’s hosted by Janine, over at Cake of the Week, and in celebration of her birthday she decided that this month’s tipple of choice would be champagne. Excellent. Who doesn’t love a glass of champagne now and then? I hummed and hawed over what to make for quite a few days – trying to get the balance right of something I could actually manage to make, whilst still being impressive enough that I don’t feel daft for entering it. My other major issue was that everything I liked the sound of involved either raspberries or strawberries. Being January those were all a bit of a non-starter. After several whatsapp discussions with Mel about what she was thinking of making I opted for something to do with pears. Not hugely seasonal (and worse still, Tesco declined to put on the packaging where they came from – although I’ll hazard a guess that no horse meat was involved, this time), but much better than the aforementioned summer berries. After much indecision (see a theme emerging?) I opted to make a tart. 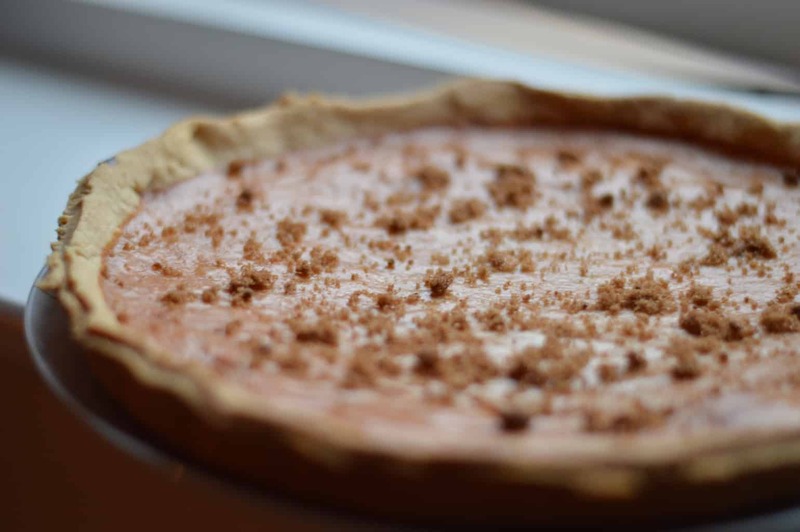 Given the sudden drop in temperature at the end of last week, a warm tart seemed like just the ticket. 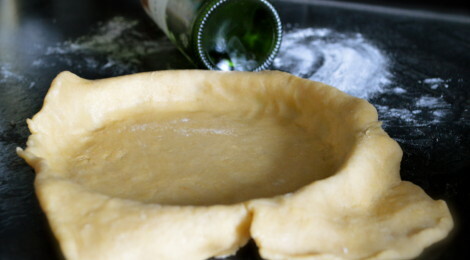 In my experience, liquid doesn’t go hugely well in tarts (especially the amount you’d need to get the champagne flavour to come through) so it needed to go into the fruit in advance. 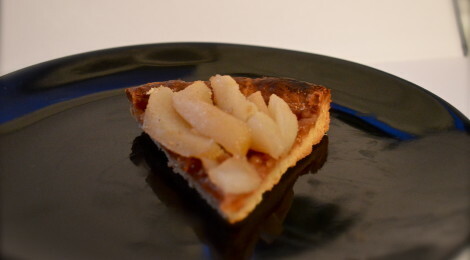 Eventually I settled on the idea of a champagne-poached pear tart. If we’re being technical I should really call it a cava-poached pear tart, as that is what I used; but for the sake of the challenge title I’ll twist it slightly and go for the champagne. I apologise, France, I know I’m completely wrong to misuse the name of your bubbles, but it can’t be helped. It proved to be a little trickier than I’d envisaged, but this was primarily because I couldn’t find my tart tin, my rolling pin or baking beans (I moved house in December, who knows where things are now). I eventually found the tart tin hiding in my loose-bottomed cake tin, but the other two never surfaced. Thankfully my (usually deeply hidden) resourcefulness appeared just in time, substituting in an empty wine bottle for the rolling pin, and some baby potatoes (that I was going to have with my dinner anyway) for the baking beans. I also ended up making some jam tarts with the left-over pastry, which was just an added bonus. Check out the Instagram feed at the bottom of the page to see how ridiculous it all looked. The tart turned out pretty well – if we can ignore the fact that I burnt the pastry – with a tasty fruity top and not a soggy bottom to be seen (I’m sure Mary Berry would be proud). One of my friends helpfully agreed to be a taste-tester, so we consumed a large amount of it whilst watching some trashy-but-wonderful Saturday night TV. The champagne flavour shone through, but didn’t overpower the pears, and the pastry had a good texture (ignoring the slight singes) to it – this is definitely going to be made again. 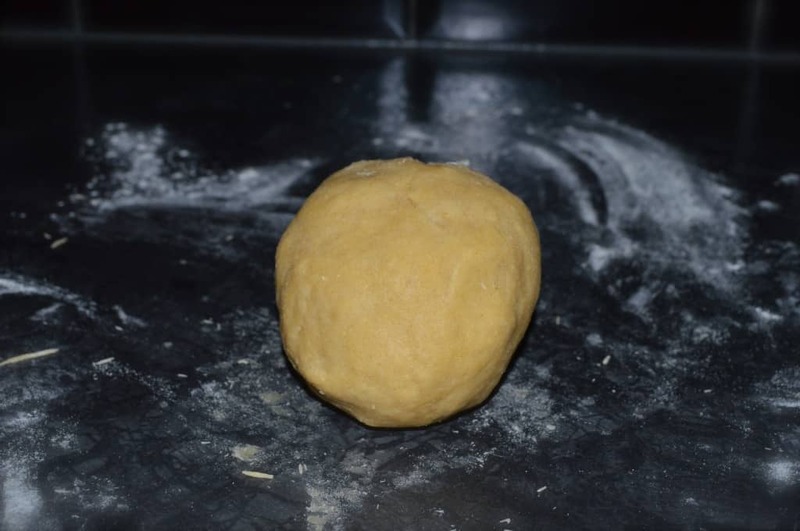 This is an original recipe from The Usual Saucepans, however, the pastry comes from the Great British Bake Off : How to Bake. 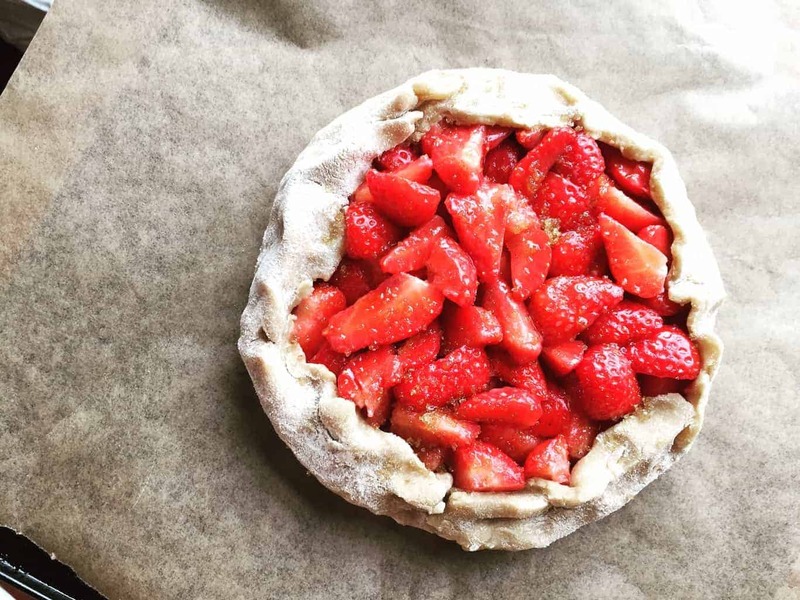 It makes a 20 cm tart, which will feed up to six people (if they’re not particularly hungry). Put the flour, butter and caster sugar in a bowl (or food processor, if you have one) and ‘pulse’ them until they mix and look like breadcrumbs. Add the egg yolk and the cold water, mix until a it forms large clumps. Tip the mixture on to a lightly floured worksurface. 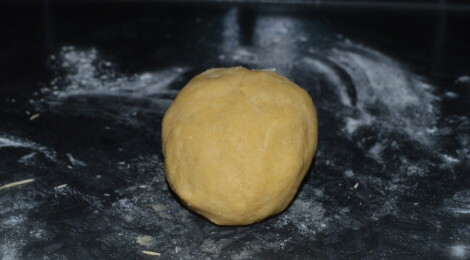 Bring it together in a big lump and knead it a few times until it is smooth. Take the pastry out and cover in baking paper or tinfoil, put baking beans (or similar) on top and bake in the oven for 15 minutes. Once it has begun to set take it out, remove the paper/tinfoil and place back in the oven for a further ten minutes. Once it is properly baked take it out and leave it on a wire rack to cool. Turn the oven down to 160ºC. In a large saucepan pour in the cava and water. 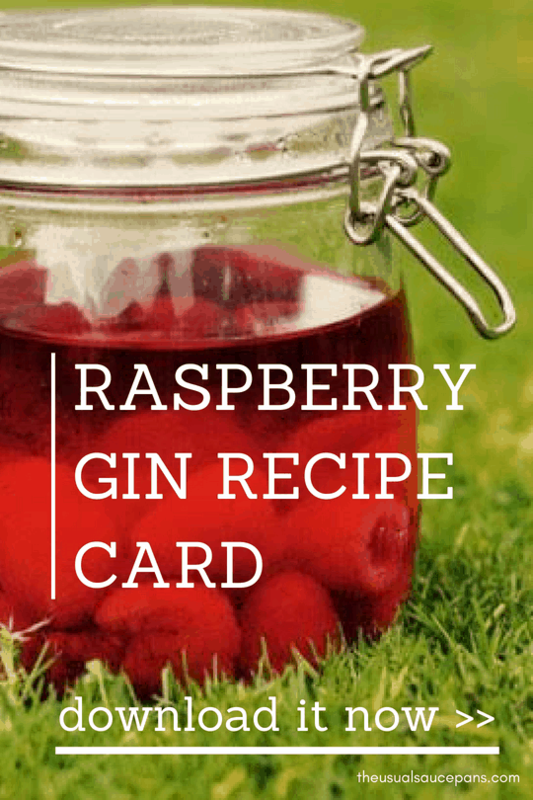 Bring this to a gentle simmer. Whilst waiting for the cava to heat up peel all of your pears, leaving the stocks on (as this will make it easier to get them in and out of the pan). When the liquid begins to simmer put the pears in. If they float up, use a piece of baking paper and a saucer to keep them weighed down. Put the lid on and leave to poach. The time will depend on the size and ripeness of your pears, but it will be around 12 minutes. 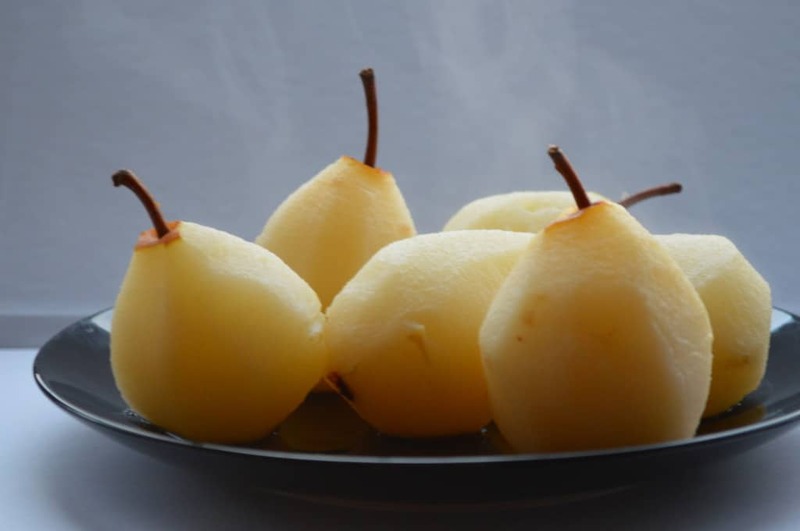 When the pears are cooked, take them out and let them sit for a couple of minutes. 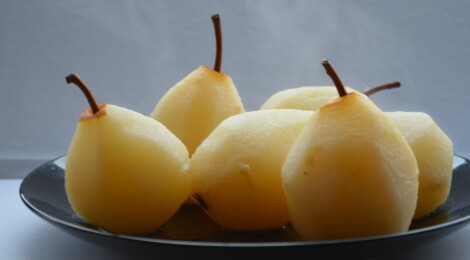 Then half each pear and use a teaspoon to remove the core. Cut the halves into thin slices and then line them round the inside of the pastry case, ensuring it is completely filled. Melt the remaining butter and sugar in a pan along with a couple of tablespoons of the poaching liquid. Cover the tart in this liquid and add the rest of the sugar on the top to caramelise. Place back in the oven for 10-15 minutes until it is golden. Serve either warm or cold, with or without cream. If you are feeling in need of a little more sweetness, reduce the poaching fluid to a syrup and serve alongside. 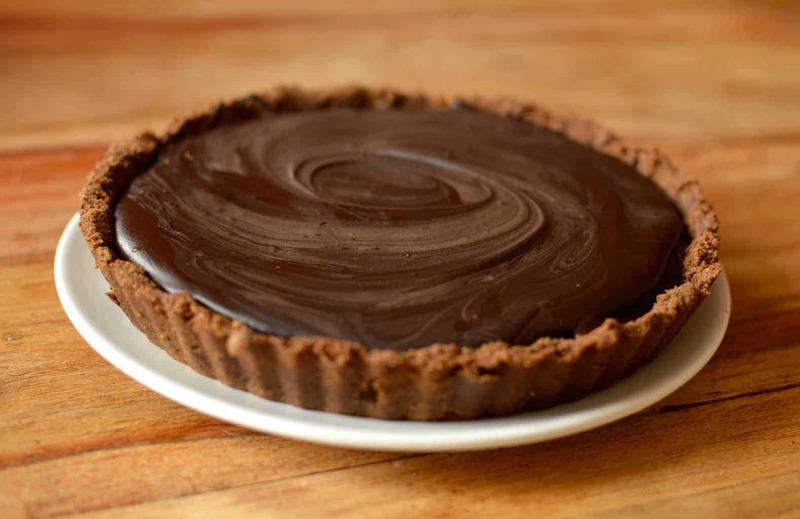 Personally I think you made a very good choice for your first blog challenge, but I could be a little biased… This tart looks delicious – I think I’d pair it with some custard. Surprisingly, I’ve seen a fair few strawberries around lately – I’m not sure where they’re getting them from but I doubt they’re cheap or particularly nice, so Pears were probably a good winter choice. Thanks for entering Baking With Spirit! I think some might count you as a little on the biased side, but I definitely agree. The punnets I saw were from Spain (I think), and didn’t even smell of anything. Pears were definitely the way forward (and good for ‘accidentally’ poaching a few more than was strictly necessary). I’m looking forward to next month’s challenge already! 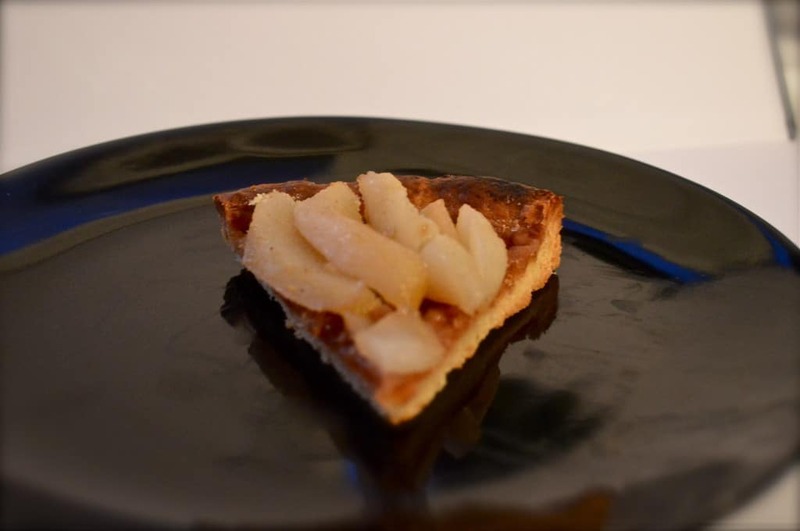 Oooo looks delicious – excellent idea to turn the poached pears into a tart! Also, message from France (because I’m uhm, the French Ambassador to the food blogging world, obviously): we might forgive you for the cava/champagne thing… maybe. Only if you’re nice to us. Well, if you were a little closer I’d have given you a slice, would that do? Thanks, it definitely was the way to go.